Scrambled, hard boiled, Benedict, soft boiled–you name it. My love for eggs has no boundaries, to the point that I can even eat them raw. Yes, raw. And you know what? It’s not even as bad as it sounds. As a matter of fact, the saying an egg yolk a day keeps the doctor away not only sounds good, but it’s also very true. They are a fantastic source of lean protein, beneficial acids and dietary cholesterol. Now I know what you’re thinking. “Cholesterol?? Really?” But hear me out–not just because you are seeing a word which is usually associated with bad things happening with your body, does it mean that everything related to it is bad. We already know that high cholesterol is saturated, but we need the dietary cholesterol to increase energy and even to build muscles quicker. What’s interesting about eggs is that they pretty much contain every single nutrient our body needs to function properly, like vitamin B, B6, B12, choline. These vitamins and minerals are considered to be our allies when it comes to preventing heart diseases. And the best thing about this risotto with egg yolk recipe is that it’s cooked in a healthy way, so that you don’t miss out on the yolk’s great properties. It’s not the most obvious choice when it comes to deciding what risotto to cook, but it’s worth taking into consideration. In a pan, melt half of the butter then add rice. Stir well. 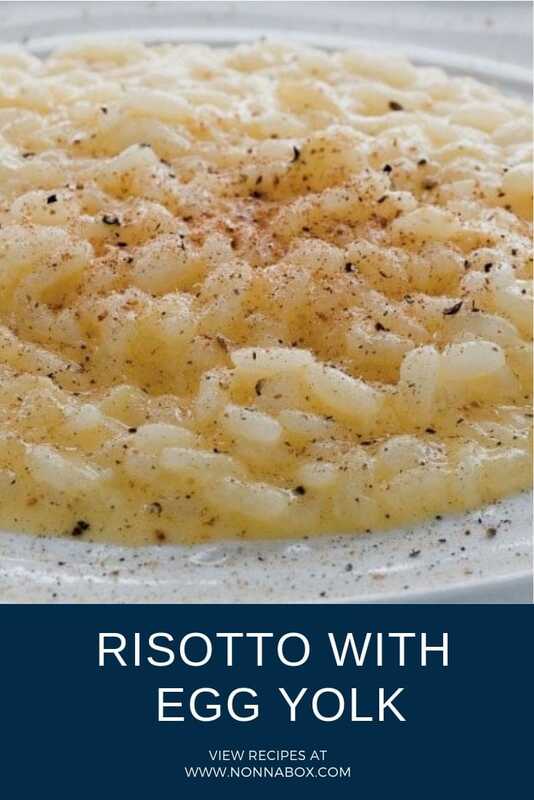 When the butter is absorbed, moisten the rice with a ladle of hot broth for about 15 minutes until the risotto is cooked. Meanwhile, whisk the egg yolks with cream, Parmesan cheese, a pinch of salt and freshly ground pepper, set aside. Remove the risotto from heat, add the remaining butter and the cream egg. Another way to cook an egg is with Risotto so I’m excited when I first tried it instead of just the ordinary egg and risotto I’m cooking. It’s good for breakfast, a good alternative meal for cereals.